1. Read on line the UCI General Catalogue: You are responsible for the requirements and policies listed in this catalogue at: catalogue.uci.edu. 3. Check Your Classes: You are responsible for being enrolled correctly. Use StudentAccess, WebReg, or EEE to check your study list. For more information on registering for classes click here. 4. Dean's Signature: When you need your Dean's signature on any university form, please come to the Student Affairs Office (101 Mesa Arts Building). The Dean’s signature is valid for 3 working days. ALL courses must be added or dropped by the last day of the 2nd week of classes; You must use WebReg to add or drop by 5 p.m. of the deadline. Exceptions are by petition and only for documented extenuating circumstances. A fee of $3.00 is charged after the deadline for all changes - Add, Drop, and grade option. Fore more information on enrollment deadlines and procedures, click here. 6. Check Your Transcript: You are responsible for checking your transcript each quarter for grades and progress. Unofficial transcripts are available through StudentAccess or at the Registrar’s Office. Always check with your instructor if you receive an "NR" (No Report). An "NR" becomes an "F" or "NP" after one quarter of subsequent enrollment. An “I” (Incomplete) becomes an “F” or “NP” after 12 months. Once changed to an “F” or “NP”, it remains on your record. You are responsible for knowing the grading policies for the classes for which you are registered. 7. Repeating courses: Most courses may NOT be repeated for credit, unless you earned a deficient grade (“C-”or below or “NP”). Consult with your academic counselor or the UCI General Catalogue to see if a course is repeatable. 8. Residence Requirement: You may take classes off campus with prior approval. Most courses counted toward major requirements must be taken at UCI. Once enrolled at UCI, ALL writing courses must be completed at UCI. At least 36 units of the final 45 must be completed at UCI. 9. P/NP grade option: You may take a maximum of 4 units P/NP each quarter when you have an option. ALL major requirements must be taken for a grade. 10. Units: You must request prior approval to take less than 12 units or more than 20 units any given quarter. See a counselor before you register. 11. The UC Entry Level Writing Requirement: You must satisfy this requirement prior to the beginning of your 4th quarter at UCI. Students required to take Academic English must complete the Hum 20 series before taking 39APlus (satisfies UC Entry Level Writing). You must start taking these classes your first quarter and each quarter until qualified for Writing 39APlus. Failure to finish the Academic English or the Entry Level Writing Requirement on time will result in academic probation and possible disqualification from the university. 12. Lower-Division Writing: Lower-division writing must be completed prior to your 7th quarter at UCI or you are subject to academic probation with the possibility of disqualification. 13. Credit Hour Unit Limit: A maximum of 216 units is permitted for all non-Engineering majors after their 12th quarter of study at UCI (excluding AP and IB credits). Full-time junior-standing transfer students are allowed no more than 9 quarters, regardless of units. The maximum number of units or quarters does not include units completed at another institution prior to matriculation. 14. Transcripts: When sending transcripts from another college or university, send the official sealed transcripts to the Arts Student Affairs Office at 101 Mesa Arts Building, Irvine, CA 92697-2775. Transcripts generally take 4 weeks for processing. Students may graduate following the fall, winter, spring quarters or summer session. You should apply to graduate two quarters prior to your expected graduation date. 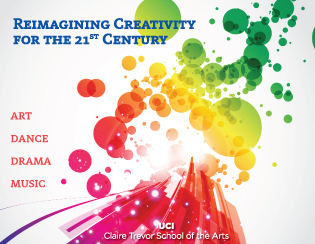 For further information go to www.arts.uci.edu.